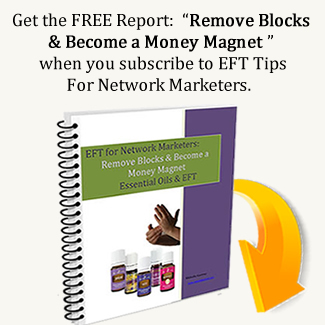 Recently I wrote an article about how EFT can help you in your network marketing business. Since then I have had a few questions about how EFT works I thought I would expand on the subject a bit. Hopefully my explanation helps a bit. EFT is a form of psychological acupressure that uses a gentle tapping technique instead of needles to stimulate traditional Chinese acupuncture points. It works even if you don’t believe it will work. Every cell has receptor sites. Things that happen in our life, thoughts we have, something that happens to us, something we witness happening to someone else, an injury, a trauma, etc. The hypothalamus releases chemicals that are called peptides. These peptides are short chain amino acids that we experience as an emotion; all the emotions are simply chemical combinations. They attach themselves to the cells and can cause problems if they are not processed. Our emotional issues are connected with our cells and our body organs. Each EFT point we tap corresponds with a body organ. When we tap on the designated points on the face and body and combine it with with focusing and verbalizing the identified problem, we are speaking directly to your body, bypassing the conscious mind. This completes the processing of those chemicals out of the cell receptors, bringing our body back into balance. We are tapping acupuncture points instead of using needles. 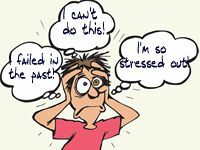 We can actually release all kinds of negative emotional issues. Since we’re speaking directly to your body and not your mind, you don’t have to believe it will work in order for it to work. You can remain completely skeptical and still get great results! EFT is powerful in releasing blocks and fears that hold us back in our business but also in enhancing positive changes we intend to attract. Once you have released negative emotions, you can use EFT with positive affirmations to replace the negative with positive feelings that move you closer to where you would like to go. Whether you realize it or not, Law of Attraction is always working. The words you use and the thoughts you are thinking effect the level of success and abundance you will have in your business. Affirmations can be helpful but EFT makes them work better. With EFT, you are tapping on the various body organ points and driving the intent into your cells. The potential is pretty powerful wouldn’t you say?